The 'safe' or 'permanent' zone of hair in the scalp is very important in hair transplant. 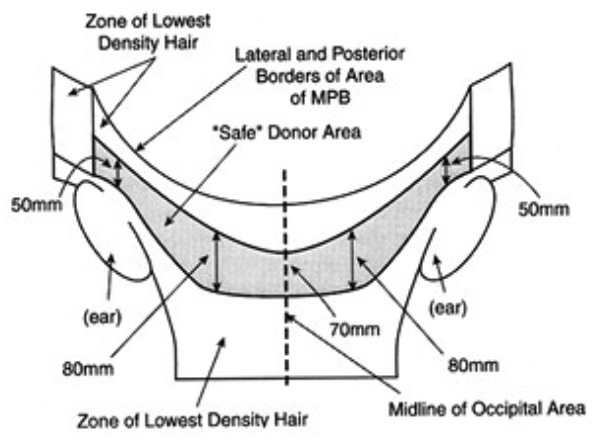 The safe zone is the area on the scalp which retains its hair throughout a person'slife. It will be noticed that even in the oldest person or the most bald person, hair is retained throughout life at the back of the head and over the ears. It is this zone of hair that is called the 'safe' or 'permanent' zone. Hair growing in this region is genetically programmed to last throughout life. Hair transplant takes advantage of this this natural bounty. 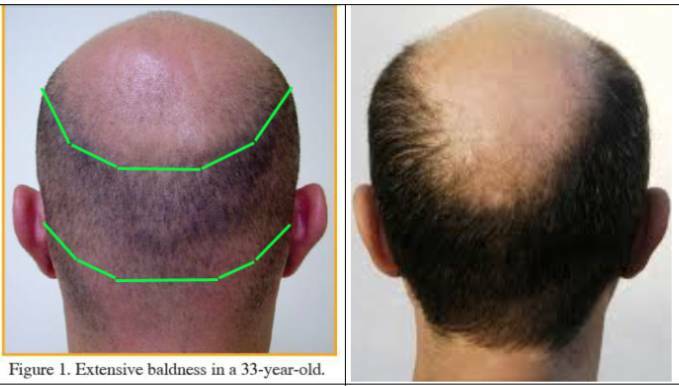 In hair transplant, hair is taken from this zone which is called the donor zone, and the hair is then transplanted to the bald areas. Since only these permanent hairs have been transplanted, the effect is that the transplanted hairs last throughout life. These hairs are genetically programmed to last throughout life and hence will not succumb to baldness - the person will retain these hairs throughout his life no matter what.